PhpMyAdmin is a well most popular web-based client for managing MySQL server. PHPMyAdmin is written in PHP programming language. It provides a user-friendly web interface to access and manage MySQL databases. 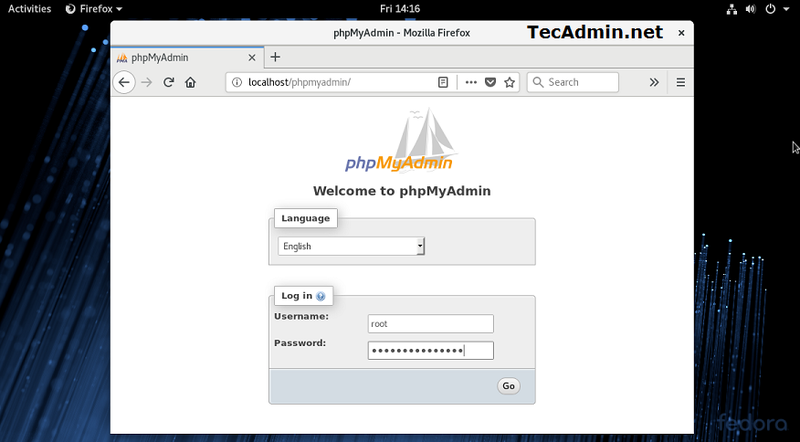 This article will help you to install phpMyAdmin on Fedora 28/27/26 System. We assume you already have installed Apache (HTTP) web server, PHP and MySQL database server on your system. phpMyAdmin most updated package is available in Remi repository. Install it in your system using the following commands. After enabling Remi repository on your system, let’s start the with the installation of phpMyAdmin using yum package manager. All the dependencies will automatically be installed. phpMyAdmin by default allowed to access from localhost only. 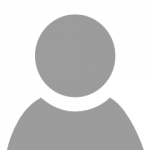 If you want to make it accessible from remote computers edit Apache configuration file of phpMyAdmin. Now check for below section. Change Require local to Require all granted, This will disable local restriction access and phpMyAdmin will be accessible from network. After making any changes in Apache configuration file, you must restart Apache service to reload updated settings. Now you can access phpMyAdmin in a browser using the following URL. Remote users change localhost with system IP address. Congratulation’s You have successfully installed phpMyAdmin. Using single phpMyAdmin we can manage multiple MySQL servers by adding multiple remote MySQL server. Use this article to add multiple MySQL hosts in phpMyAdmin. Manually installing and configuring PHPmyadmin on a server is quite difficult. Why not go with a PHP cloud hosting provider, like Cloudways, where PHPMyAdmin is available by default. There is no need to install or configure it manually.